Pack Expo International, organized by PMMI (The Association for Packaging and Processing Technologies), is the main event for processing and packaging solutions, taking place from 14 – 17 October 2018 at McCormick Place, Chicago, USA. Serving a wide variety of industries, the exhibition will host over 2,500 exhibitors supplying advanced packaging equipment, materials, containers, automation technologies and other supply chain solutions, and will welcome more than 50,000 visitors who will have the opportunity to observe equipment in action, stay up to date with current and emerging technologies and build connections with suppliers. - The Russell Compact Sieve® is a versatile vibrating sieve ideal for check-screening powders and liquids where space is limited. 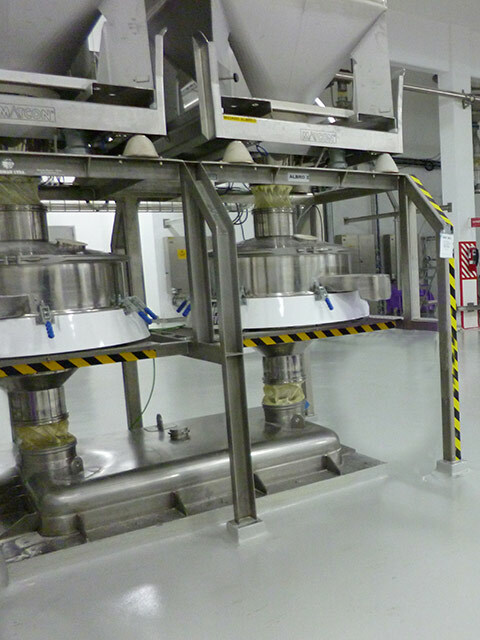 This unit will be displayed with an ultrasonic sieve deblinding system to demonstrate its effectiveness in eliminating the blocking of mesh screens when screening difficult powders. - The Russell Compact 3in1 Sieve™ is specifically designed to screen hand fed ingredients through low-level bag emptying using a sack tip station. The addition of a magnetic separator ensures only the finest product quality. - The Finex Separator™ is a revolutionary high-performance grading separator providing more accurate sieving and lower noise levels compared to traditional spring mounted separators. The unit will be displayed with the Russell Screen Changer™ to demonstrate how mesh screens can be changed quickly and safely. - The Russell Liquid Solid Separator™ is a centrifugal separator for continuous removal of solids from liquids, providing high-capacity separation on fine meshes down to 20 micron. - The Russell Eco Filter® range of self-cleaning filters utilizes a unique SpiroKlene™ wiper system to provide effective and continuous filtration down to 10 micron, ensuring there is no slowing of throughput. Visit Russell Finex at booth N-6330 to find out more about the extensive range of innovative sieving and filtration equipment or contact us today for more information on how we can help with your application.